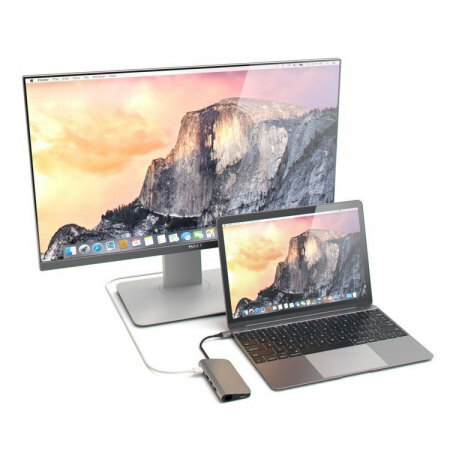 Expand your USB-C compatible computer, laptop or Macbook with additional connectivity options with just one compact and light accessory. 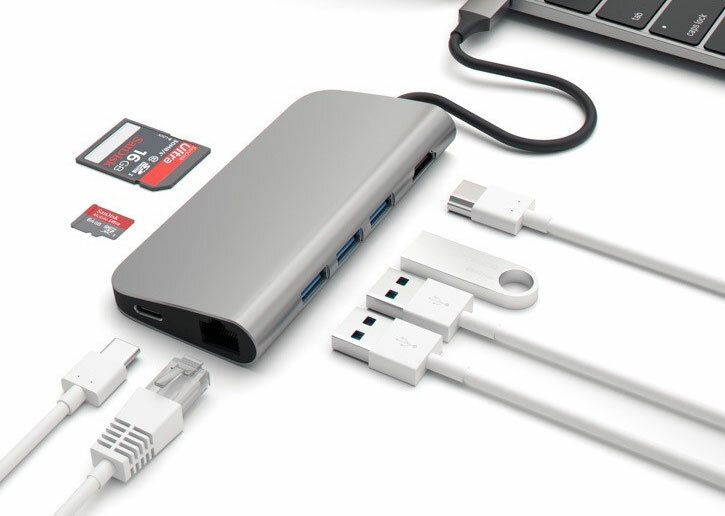 With many modern computers becoming so thin to create an attractive design, the range of ports available in this limited space can be greatly reduced. The Satechi USB-C Multi-Port HDMI Adapter expands the number of USB ports all in one handy portable device. Add 2 USB ports to your computer and connect a wide range of media devices. 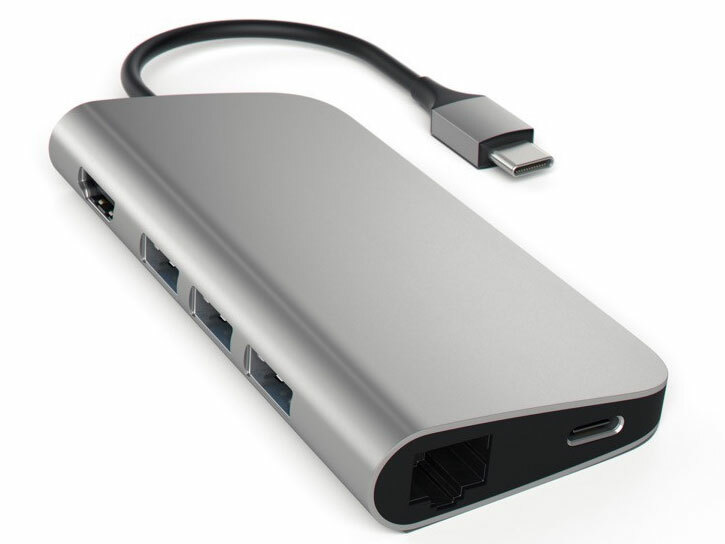 These could include USB memory sticks, external USB hard drives, gamepads, printers and connecting other USB compatible equipment. 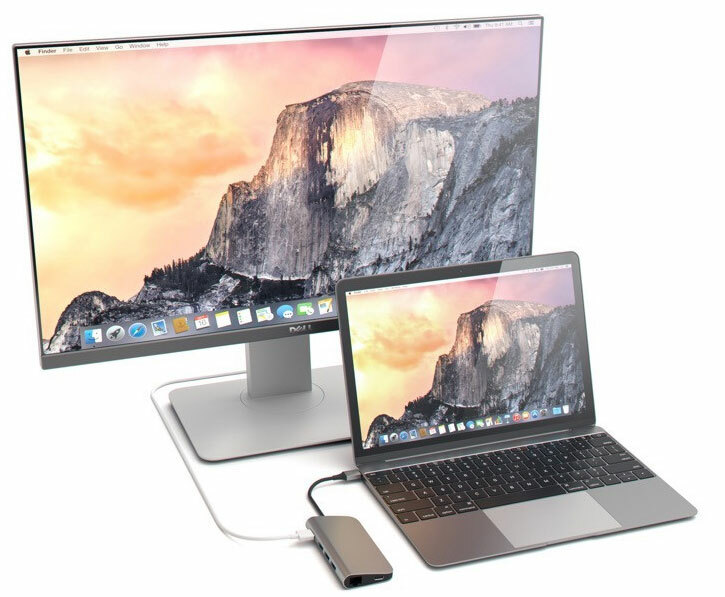 Additionally the Satechi USB-C Multi-Port Adapater also features a HDMI video output port, perfect for watching your videos on a larger TV or monitor. If your computer / laptop and TV or Monitor support 4K, you'll be able to enjoy your content in a crisp and clear high resolution. Improve the reliability of your Internet connection and go wired with this adapter's Ethernet socket, ideal for connecting your computer or laptop to your router directly. 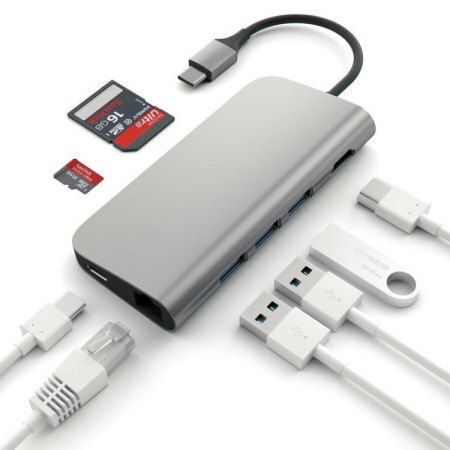 As if all this wasn't enough, the Satechi Multi-Port Adapter also features slots for SD and Micro SD cards. 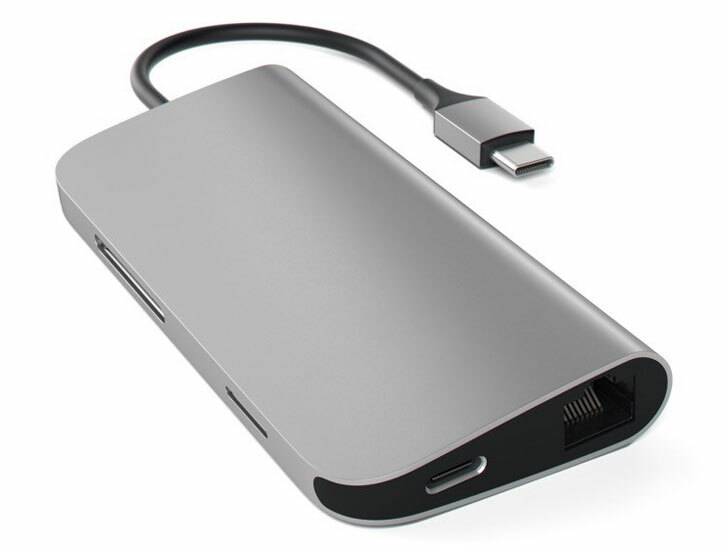 Transfer all your photos, music and files from and to your computer, laptop or MacBook with this adapter and a compatible card. 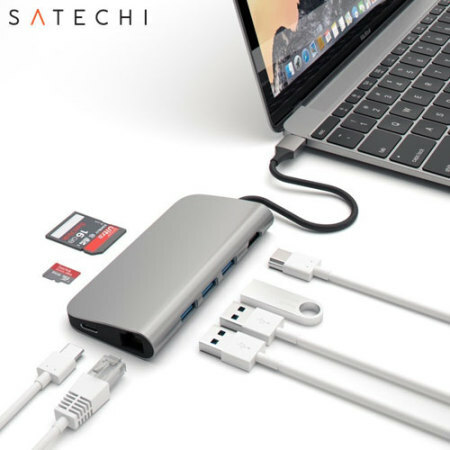 Due to its small and lightweight design, the Satechi USB Type-C Multi-Port Adapater is the ideal companion for your USB-C compatible computer. Easy to place in your bag or even pocket, portability certainly isn't an issue. 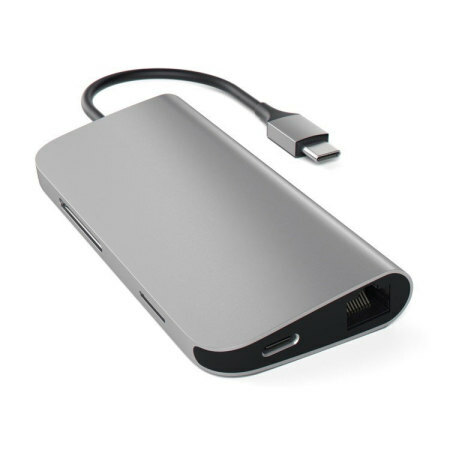 Keep this adapter connected while you charge your device thanks to the power pass-through function on the USB-C port.